Other columns include Japanese giant robots and magical little witches; recent Indian animation; and the plans of Japan’s Sanrio Co., Ltd. (makers of Hello Kitty merchandise) to take over the American animation and comic-book industries in the 1970s; among others. 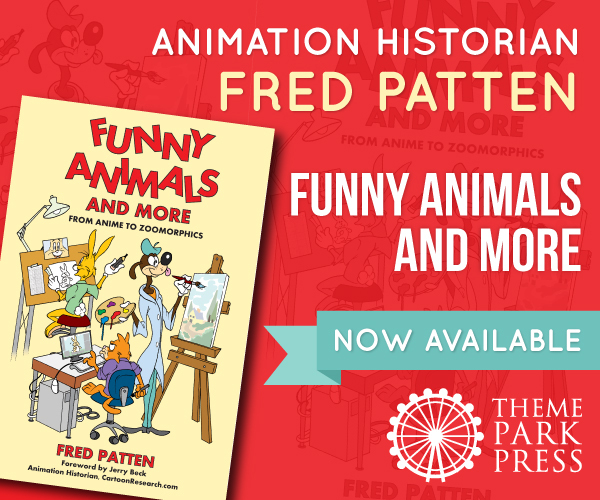 Funny Animals and More, with a Foreword by Jerry Beck, an Index, and a cover design by Dan Cunningham, is published by Theme Park Press; 172 pages, trade paperback, $12.95 retail. I never knew Fred Patten was such a big deal. Coming from me, that line should be considered a compliment. I still feel like I have just stumbled into all this. is there a better way to describe this besides "funny animal"? it's something that's usually said by closed minded people. i know there's "furry" but i'm not too sure if it describes the generic anthro animal character in a story. "Funny Animal" is a term that existed before "Furry" was coined to describe the use of humanized animal character. Being that Fred is an older fellow that's the term he grew up with. In my understanding, in the modern usage, "Funny Animal" has been used to describe the use of animals in the way where you could technically replace the anthro animal with a pure human character and the story would still work. Particularly within the genre of writing. For instance, the Redwall series is more "Funny Animal" than say Watership Down. You could replace the characters of Redwall with humans and the story would not fall apart for the most part, where as Watership Down, the characters have to be rabbits or it would not work. Technically some of the items listed of discussion in this book are probably not Funny Animals (Pokemon), but that's probably where the 'and more' part of the title comes into play. My "Funny Animals and More" book is primarily for fans of cartoon and CGI animation in general. 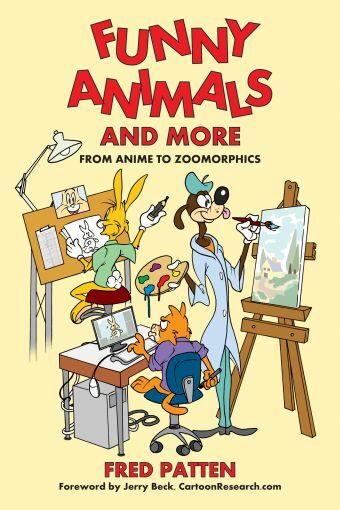 I have tried to stretch it to cover Japanese anime and American 1940s & 1950s funny animal comic-book characters as well, for readers who are more interested in those than in the history of cinematic animation. There is not one term that encompasses all of these. For a better picture, see my weekly column on Cartoon Research which has lots of illustrations and video weblinks.